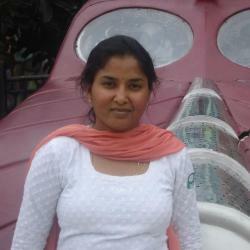 Note: This post is written in continuation with the other blog on the engineering metrics. What is time view of statuses metrics? It is the time view graph that shows how many tickets were present in a given set of statuses for each day of a time period. The graph serves as an excellent tool to help with your hiring estimates. It also helps you identify when new hires start hitting their stride. We wanted to develop this graph because we did not find an easy way to look at a time view of statuses of tickets on Jira tool. As QA, we sense our workload increase but it is hard to make a case for more QA engineers with just a count of tickets. The metric described in this post also helps us to understand workload on daily basis. This is an example of the time view of statuses graph. The x-axis shows dates and the y-axis shows the number of tickets. The three lines plotted correspond to the statuses “in progress”, “feature test” and “peer review”. The chart above shows us three statuses over the first seven months of this year at one of Qxf2’s clients. Around May, we realized that the QA load over the last couple of months had been increasing steadily. We requested and got a new QA engineer joining us at the end of May. 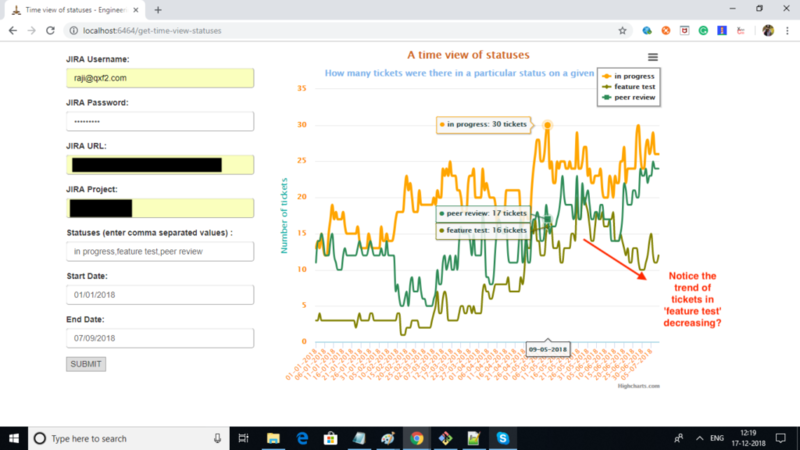 You can see the immediate impact she had – the number of tickets in the status ‘feature test’ started to trend downwards. Now, we are not only in a position to show this sort of impact but we can also alert our engineering management to other potential problems like the ballooning number of tickets in peer review. "Get ticket all statuses and their start date and end date"
"Return a count of tickets per day in each status for a date range"
Analyze JIRA data with Python Where is your engineering team spending most of its time each sprint? How do you know if you have collaborative agile team? Previous Post Where is your engineering team spending most of its time each sprint?